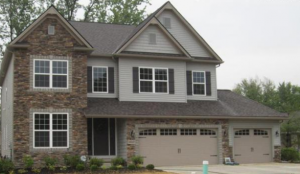 The Melrose Farms in Willoughby, Ohio community is specially designed to accommodate different types and kinds of home plans and families. The small suburb community is located a few minutes away from downtown Willoughby and at the heart of Lake County hence offers a private and friendly atmosphere that’s ideal for bringing up a family. What’s makes this neighborhood exceptional is its having all of its utilities located underground to ensure that all kinds of clutter such as poles and wires are eliminated hence giving rise to a natural and beautiful neighborhood. Each of the architectural designs adopted has to be reviewed by the architectural board beforehand so as to ensure that they blend with the community’s visual integrity. Most of the homes have however adopted the century home look. Melrose Farms therefore provides the ideal lifestyle opportunity for a family that is in need of living a convenient modern life. Willoughby has some of the best learning institutions not only in Lake County but in the entire Ohio. Most of these schools are either located within or around the Melrose Farms. The entire Melrose Farms community has a very good infrastructure. To get to the downtown Willoughby from Melrose Farms, it only takes 30 minutes. Since the community is only a short distance from the main city, many people have a preference of walking or driving. There however is one train station from where people can board the train to the city. There’s also one airport. The neighborhood further has tree-lined streets with very good sidewalks and streetlights. As such, it’s very safe to walk on the streets, even during the night. Being located at the heart of the city, Melrose Farms makes a perfect place to experience various recreational activities such as shopping, dining, play as well as visiting some of the very exceptional attractions. The historic pubs and the coffee houses are among the favorite of many more so during the weekends and the evenings. The Indian Museum: The museum specializes in the discovery, collection and preservation of archaeological materials and sites as well as organizing educational meeting and publications of museum related information. The Historic Kirtland Visitor Center: This center specializes in various activities such as military recreation services and the indoor and beech bend amusement parks. Additional attractions and activities in Melrose Farms include the historic main square, outdoor games like baseball, art galleries, Kirtland Temple, Holden Arboretum, Western Reserve Model Railroad Museum, Great Lakes Science Center and the James A Garfield National Historic Site among others.